Last week NBC's "Today" show out-rated ABC's "Good Morning America" for the first time in a year and a half - but NBC probably shouldn't be celebrating. 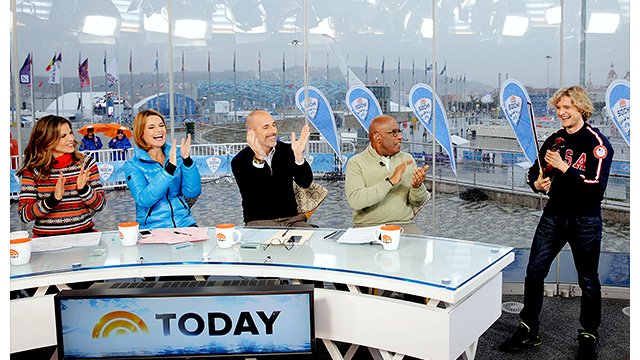 "Today" notched the weekly win thanks to NBC's coverage of the Winter Olympics in Sochi, Russia. But the show surpassed "G.M.A." by only 210,000 viewers - a small fraction of the advantage that it had over "G.M.A." during previous Olympics. The results demonstrate just how wounded "Today" remains after falling from first place to second in the closely-watched network morning show race. Executives at ABC, meanwhile, have been overjoyed by how well "G.M.A." has held up, though they declined to comment on the record about the ratings results.